Ganesha: The Playful Protector is developed in collaboration with the National Museum of Cambodia in Phnom Penh, which is loaning a statue of Ganesha created in the 600s to 700s that is the centerpiece of the exhibition. 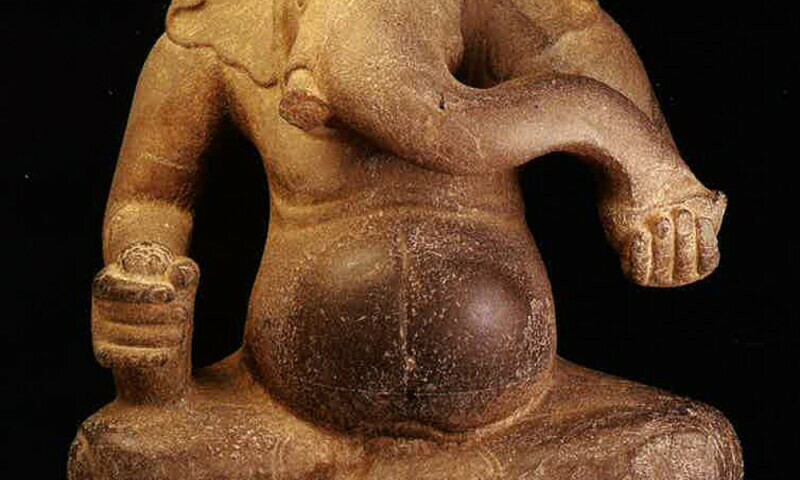 The 29-inch tall cross-legged figure, featuring human arms and an elephant head, is known as one of the earliest Ganesha icons in mainland Southeast Asia. This significant pre-Angkor artwork is on view along with sculptures, paintings, and textiles from the DAM’s own collection of ancient to modern representations of the Hindu deity. Ganesha, who has been widely worshiped since the 400s, originated in India as a Hindu god who removes obstacles and is known for granting wealth and success. Ganesha has crossed both geographic and religious boundaries, inspiring numerous representations throughout the Asian subcontinent over time—all of which will be surveyed in the exhibition to showcase the iconographic changes of this popular god.